Male bass attempting to ask out a female bass. December in Central Florida, is a special time of year for the bass. The water temperatures are slowly falling, the day’s are at their shortest, and it’s making all the bass friskier than ever. Yes, that’s right. It’s the most wonderful time of the year. It’s the start of the spawn. While northern bass are hunkering down for the winter, Florida bass are getting it on. And as a bass angler it’s time to take advantage of natures most wonderful event. While the spawn down in South Florida and Okeechobee is already underway. Central Florida’s bass (being a little farther north) are later to the party. But they are ready for the party now. The big girls have been spending the last couple of months fattening up so they look nice and pretty for the male bass(and of course for us anglers). They are filling up with eggs and are grouping up in pre-spawn staging area’s. 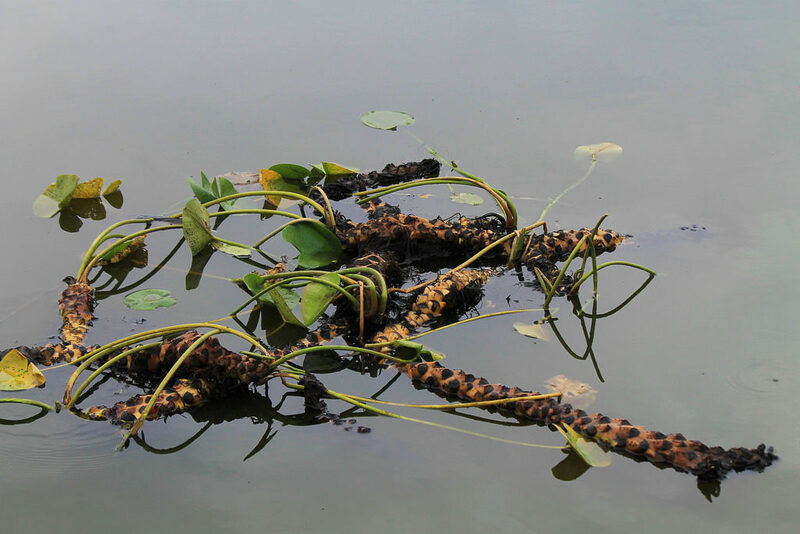 Floating Spatterdock Lily Pads and there roots. Where do you find these pre-spawn area’s? Well first you have to find the flats where the bass are going to spawn. Bass need something hard for there eggs to stick to in order to spawn. 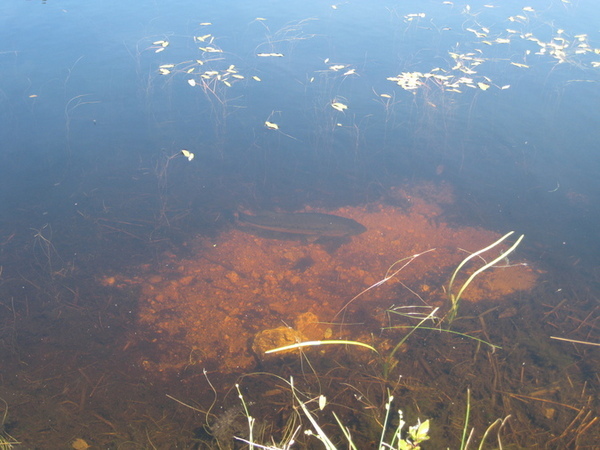 A hard clean bottom in 4 feet or less is typically what you are looking for when you are trying to find spawning flats. However there are exceptions to the rule that are lesser known. Such as Spatterdock lily pads. While usually Spatter dock pads grow in areas with a crappy mucky bottom. The roots of these pads are like logs and they stick up out of the bottom. 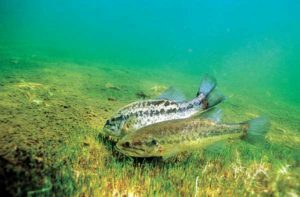 Bass will actually spawn on these roots and these can be key to finding secret little areas of big spawning Florida bass that most people don’t know about. When you have found a open area with a hard clean bottom in shallower water. Then you have found an area where the bass are going to spawn. Florida’s lakes are extremely grassy and Florida’s bass love it. Which make’s it easier for us to find these fish. They are going to be either in, or on the outside edge of the grass or lily pads that are just outside of these spawning flats. If you find one of these area’s right now, it’s usually game on. Our guides are catching around 20 a day right now on our fishing charters. With the average size being over 3 pounds! We’re coming into the best time of year for bass fishing in Florida, and with the way things are setting up its looking like it might be a special peak season! In next weeks blog I’ll be going over the best baits for fishing Florida and catching the big girls at this time of year. ⟵Lake Toho Winter News Flash! Hey there, awesome post. So inspiring. I really enjoy going fishing (and|&) outdoor activities. Thank you so much.